Here are some examples of some amazing feedback from some of my previous clients whose weddings I have photographed throughout the UK. I love getting feedback from my clients as it gives me great satisfaction that I have done a great job for them. "Alex captured our wedding day beautifully! He listened to what we wanted and delivered with exceptional quality! Thank you so much Alex!! We’d be sure to use Alex again and recommend him to family and friends!" “Alex photographed our wedding in November 2017. We found Alex through a wedding group on Facebook, being local to us and seeing his work, we knew it was an immediate match. Alex was truly unbelievable and I cannot recommend him enough. From the initial consultation to the day it self, he has been diligent, attentive and best of all, fun! All our guests commented on how good he was - got all our shots that we requested but we barely knew we were being photographed the whole day. We received our images in a good time frame, knowing that care and attention had been taken in every single one of them. Even the aftercare has been truly superb. I would 100% recommend him to anyone! Thanks again Alex." “Alex was the perfect photographer to capture our wedding. From the first point of contact Alex was professional and gave us confidence we had made the right choice. Alex made the effort to find out what we wanted from our photographer on the day including must have shots. On the day Alex had good time keeping a professional manner and was also very discreet. I hardly noticed Alex in the church even though he was only a few feet away and capturing pictures all the time. We now have an amazing album of photos from our wedding including pictures of Mindy and her bridesmaids getting ready. We have a great selection of family shots, pictures of all the big moments of the day and what we really like is the candid shots of our guests. The aftercare service was also prompt. The photo album contains well finished and edited photos that us and our guests can access on line. Plus the USB and photo presentation box are a nice touch. I have already recommended Alex to others getting married as the service was brilliant." "Relaxed, friendly and totally professional and the photos prove that. Couldnt be happier with them. Thank you so much Alex. 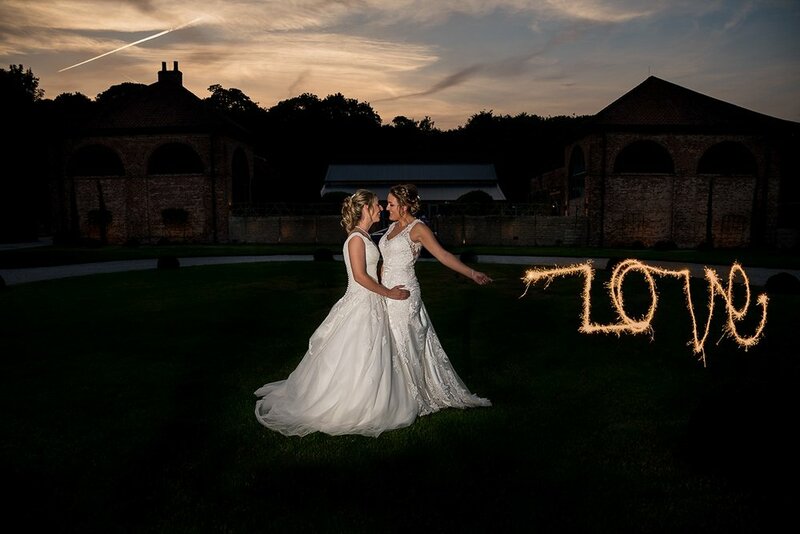 "Alex provided a fantastic service to myself and Jayne as our wedding photographer. Not only are his photographs of a very high quality, capturing spontaneous as well as key moments of the day, but the man himself has a wonderfully unobtrusive, friendly and likeable manner. From our initial meeting with him, through to the day itself and then the after-sales meeting etc he was a consistently charming, honest and professional man. He goes the extra mile, charges a reasonable price and perhaps most importantly, he has left us with a treasured memory of our special day. "On behalf of Kerry and myself I want to thank Alex Buckland, you captured our day more than we could ever have imagined, you were beyond perfect. We love all our photographs and the video is amazing. Our wedding guests commented on how professional you were, You made everyone feel so comfortable on the day and all of our wedding guests love the photographs and video. You are a fantastic photographer and I am so glad that we chose you. Thank you again, we will certainly recommend you to anyone needing a photographer."